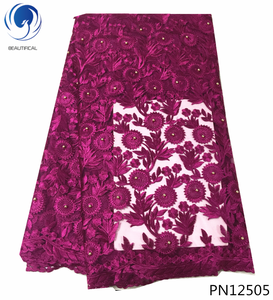 Aileen Geat hot sale shiny beaded lace fabric glitter tulle for wedding dress This fabric is a elegant, first class quality satin lace fabric, graceful color * Lace fabric: available in many colors, you pick up the color * Soft and Romantic. 4.Can I get any discount9 The price is negotiable,we can offer you discount according to your order quantity 5.How much are the shipping costs9 Shipping cost is changed by the package&rsquo;s weight and related to the shipping methods you choose and your destination. b&gt;delivery on time c&gt;many years experience in this line d&gt;high quality,competitive price,latest design,excellent service e&gt;various design and colors for choice f&gt;more order,large discount g&gt;Customized design is available. 2. Can I see more models9 &radic; Yes,you can visit our website for our collections. 3. Can I make my own design products9 &radic; Of course. 5. Mix order is acceptable9 &radic; Of course,we can accept the mix order. 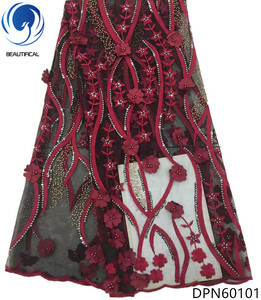 Alibaba.com offers 75,987 beaded fabric for dresses products. About 58% of these are lace, 5% are 100% polyester fabric, and 5% are embroidered fabric. A wide variety of beaded fabric for dresses options are available to you, such as eco-friendly, elastic, and water soluble. You can also choose from 100% polyester, polyester / cotton, and rayon / nylon. As well as from embroidered, knitted, and woven. 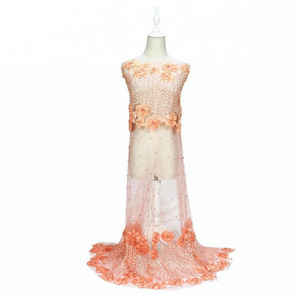 And whether beaded fabric for dresses is mesh, organza, or voile. 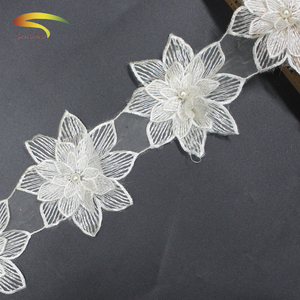 There are 75,842 beaded fabric for dresses suppliers, mainly located in Asia. The top supplying countries are China (Mainland), India, and Pakistan, which supply 97%, 1%, and 1% of beaded fabric for dresses respectively. 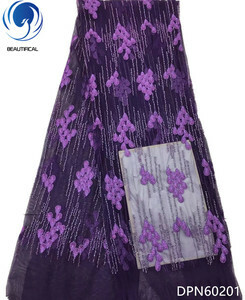 Beaded fabric for dresses products are most popular in North America, Eastern Europe, and Western Europe. You can ensure product safety by selecting from certified suppliers, including 3,764 with Other, 762 with TL9000, and 422 with ISO9001 certification.